1 Bedroom Flat For Sale in Sheffield for Offers in the region of £105,000. 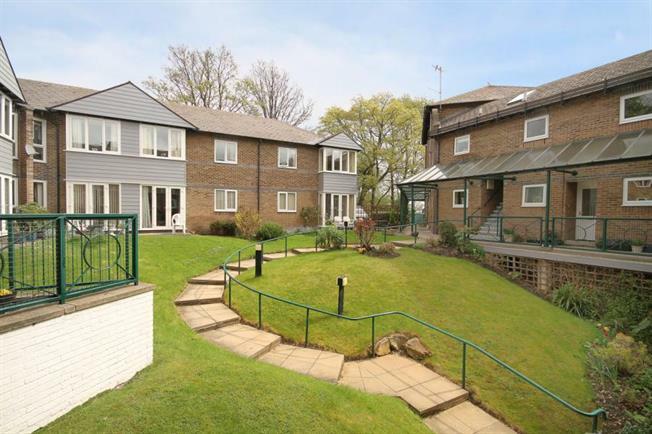 This over 55's development within one of Sheffield's most sought after suburbs, offering for sale this well presented, one bedroom first floor apartment available having NO ONWARD CHAIN INVOLVED and vacant possession. This delightful development has a warden service between the hours of 8.30am-12.30pm, communal areas for daily afternoon tea, games & quiz events, entertainment space, as well as a launderette with allocated times. The accommodation briefly comprises: Entrance hallway, delightful lounge looking out onto the outdoor area, fitted kitchen with integrated appliances electric hob, oven and extractor fan, generous bathroom & good double bedroom having built in double wardrobe. Visitor parking. Landscaped communal grounds. Located in a quiet backwater but ideally located for superb amenities within Broomhill including shops & public transport. Management fees details can be obtained from Branch.